726 tourism service providers have received accreditation as guides who have completed training on the new visitation regulations for the Islas Marietas National Park. This past Tuesday, October 4, 2016, the National Commission for Protected Natural Areas (Conanp, by its acronym in Spanish) presented credentials to the tourism guides who received accreditation on the new best practices and visitation regulations surrounding the Islas Marietas National Park. Of the 173 concessionaires who are registered with the Conanp from San Pancho, Nayarit, to Yelapa, Jalisco, there were 726 guides who signed up for the workshops and they alone have permission to take tourists to Playa del Amor. The formal act took place at the Fideicomiso de Bahía de Banderas in Nuevo Vallarta before special guests from the Nayarit and Jalisco state authorities. Among them were the federal delegates from Jalisco and Nayarit’s Environmental Division of the Federal Attorney’s Office (PROFEPA, by its Spanish acronym), Xóchitl Yin Hernández and Omár Cánovas, respectively. 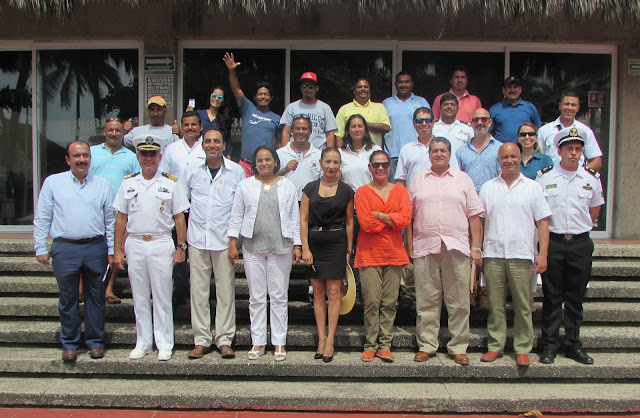 Nayarit’s Subsecretary of Tourism, Juana Duarte, and a representative of the Jalisco State Secretary, Ludwig Estrada, were present, in representation of both states’ Secretariats of Tourism. The 16 workshops took place between July 24 and September 20, 2016 at the Instituto Tecnológico de Bahía de Banderas. The credentials are valid through 2018, so the guides must constantly stay updated. A second phase is being planned to establish the parameters for a training course for guides specializing in the Islas Marietas that will not only take into consideration the official rules and regulations but also the ideas and concerns brought up by the service providers.